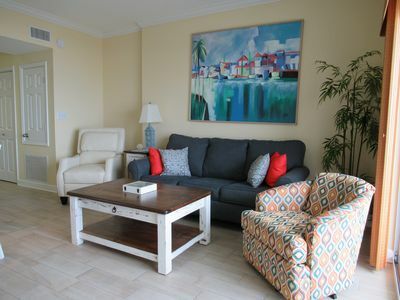 Gorgeous Beachfront Condo at Phoenix V! 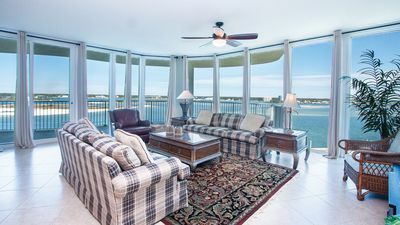 March 23-27 Availability! 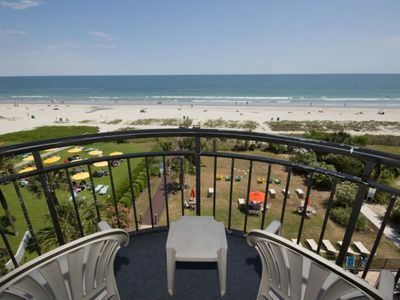 The best 1br unit at Phoenix V!! 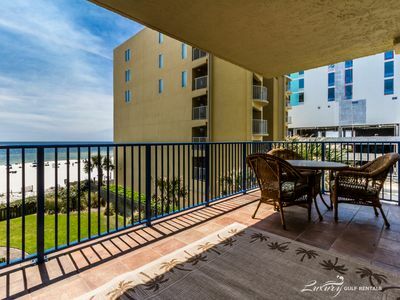 This Phoenix V condo is one of the best on the beach! Ideal for a couple with a small family. 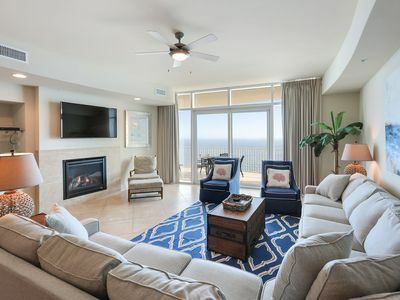 There are plenty of activities including a weight room, racquetball court, sauna, indoor heated pool, hot tubs, tennis courts, basketball court and outdoor pool. Two tennis courts await you outside. 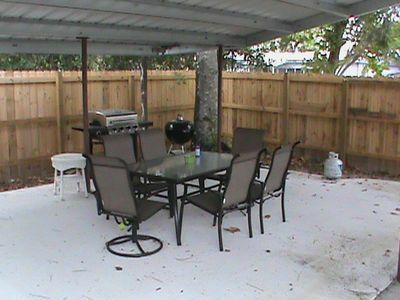 There is even a nice gazebo area to relax under while you are bbq-ing. 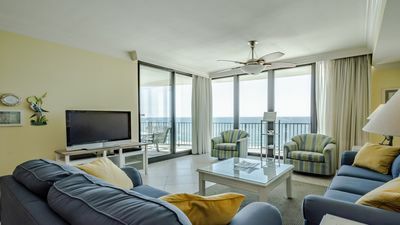 Come relax on the spacious balcony with breathtaking views of the Gulf or sleep on the large king bed in the master. 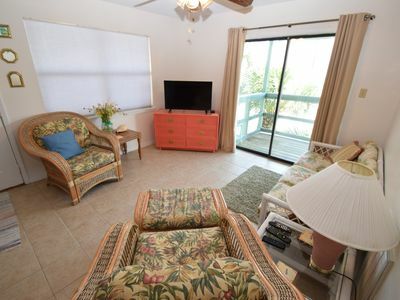 Enjoy a nap on the large chair in the living room. The kitchen is fully equipped with new appliances. We are conveniently located next to restaurants, grocery stores and not far from the outlet malls. 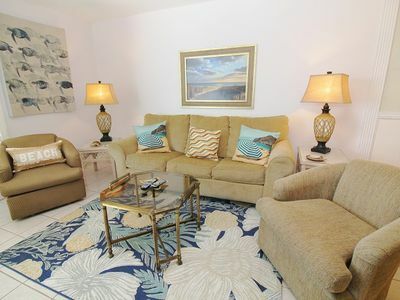 Our condo was recently renovated with new granite countertops, new custom cabinets, new living room furniture and tile throughout. We think its one of a kind at Phoenix V!! 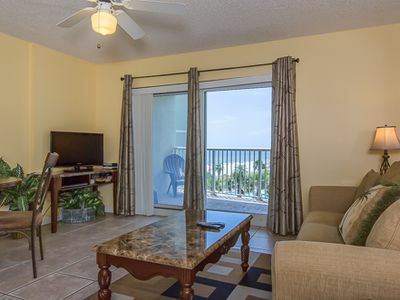 Our condo is located in the center of the building on the 6th floor, not a far walk from the elevators. Keyless entry door lock so you do not have to keep up with any keys during your stay!! Send me an email and ask about the many discounts. In general this unit will be priced less than the on site management company. 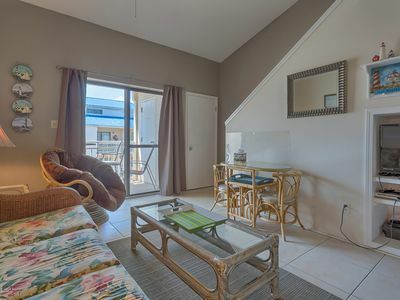 Your kids are able to enjoy a new 1300 sq. ft. Caribbean Pirate Inspired Splash Pad downstairs by the pool. The area consists of a Pirate Sloop and Ship’s Bow with Slant Jets and Water Cannon, a Beached Boat Wet Slide, a Palm Tree with Water Dumping Bananas as well as a Tiny Tulip Flower Spray. 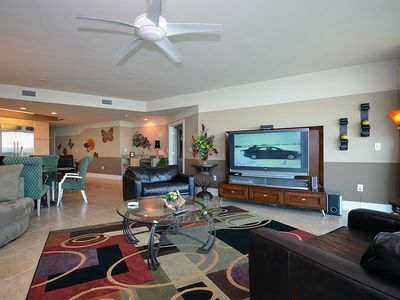 You can see pictures of the Water Park placed at the end of the condo slideshow. It’s sure to keep your little Bucketheads busy throughout your vacation. Parking: You must purchase your parking passes upon arrival, they are a one time fee of $25 per vehicle. 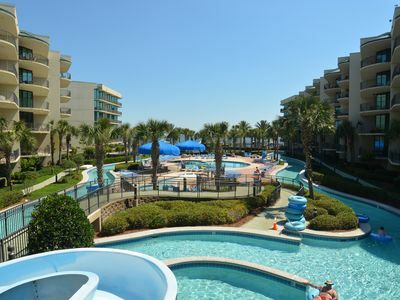 Beautiful Beach-Front Condo on the 7th Floor Overlooking Splash Pad! 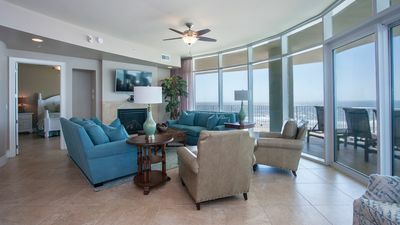 Turquoise C2106-Beach Front w/Large Terrace & Hot Tub, Saltwater Lazy River! 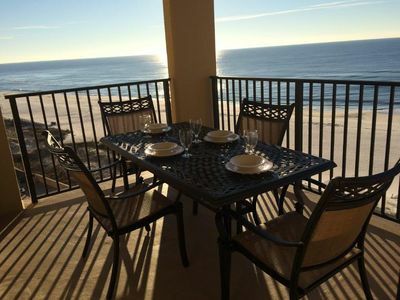 Tidewater 405-Great Views!Remodeled!Great Reviews! 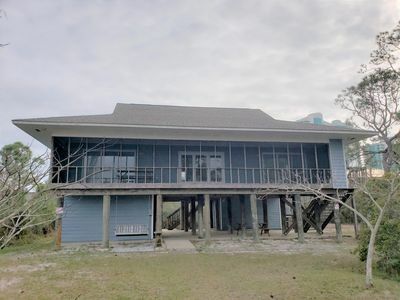 Direct Beach Front! BOOK NOW! 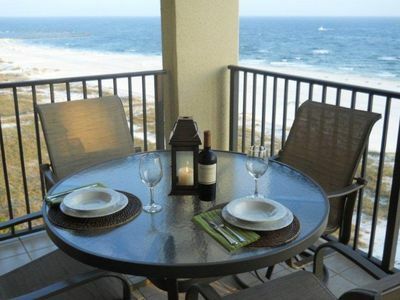 Beautiful Orange Beach Condo on the 14th Floor with Fabulous Gulf-Front Views! 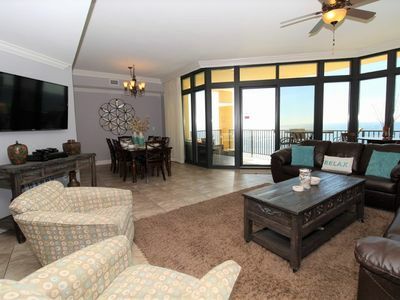 Phoenix On The Bay | SPECIAL! 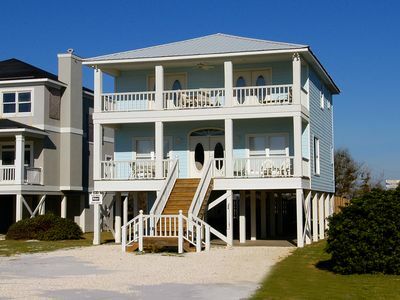 Book 3+ Nights For Apr 8-May 24 Get 20% Off! 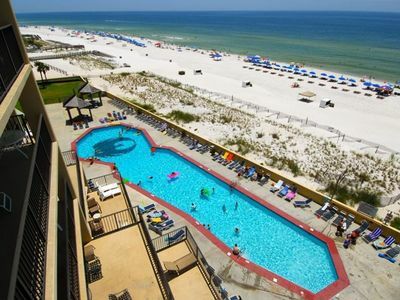 ALL SPRING RATES REDUCED BY 20%, BOOKING FAST. 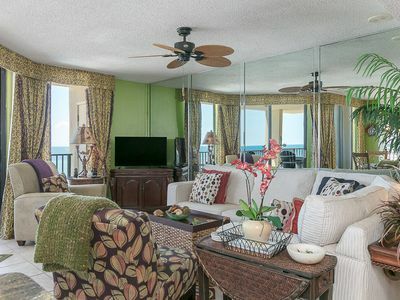 PH III 3096 Enjoy this beautiful 2 bedroom 2 BA and a view of the gulf of mexico! Come and experience our sugar white sandy beaches for yourself.